The KORG TM50 lets you practice pitch and rhythm at the same time! 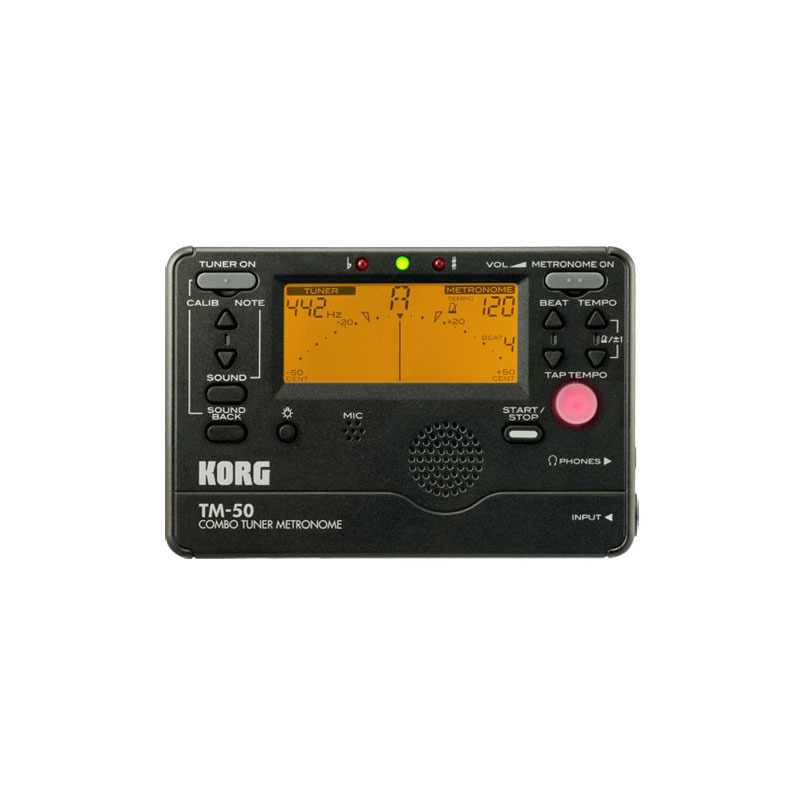 The TM50 offers both tuner and metronome functions simultaneously or independently. Its large LCD-type needle delivers both the accuracy of an LCD and the excellent visibility of a needle indicator. It also has LED indicators that show pitch deviation or blink to indicate the tempo, making the TM50 a highly visual tool. With a detection range of C1 (32.70 Hz) - C8 (4186.01 Hz), the TM50 provides quick and accurate coverage of a wide spectrum of notes and pitches for wind, string, keyboard and most other instruments. Even low-pitched instruments with complex overtone structures are detected with the precision you expect from Korg. 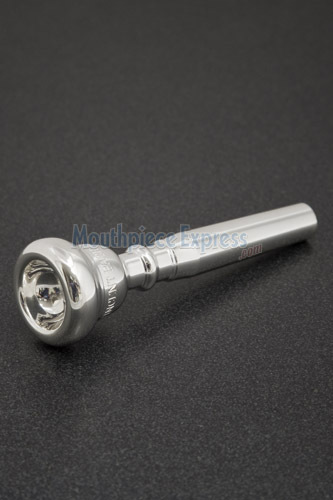 A built-in high-sensitivity mic allows acoustic instruments to be tuned easily and accurately. In addition to the visual tuning guide provided by the meter, you can use the TM50's built-in speaker to produce a tuning reference pitch (Sound Out). By pressing the Sound switch you can select the reference pitch from A5 to Bb4. By holding down the Sound switch, you can select a mode in which you step through chromatic pitches from C4 to C5 (one octave). The TM50's Calibration setting is adjustable in a range of 410~480 Hz to accommodate a variety of tuning standards. The calibration can be adjusted in 1 Hz steps, letting you accurately tune to any song or key. Metronome Section The metronome section offers convenient functions for practicing a variety of music. Beat mode - choose from preset patterns. Beat mode lets you choose a preset tempo and time signature, and Tap mode lets you specify your own tempo. The compact TM50's contains a large speaker that produces a clear and distinct metronome sound. Thirteen rhythm variations for practicing a wide range of styles. The TM50 contains thirteen types of rhythms that cover 0-7 beats per measure as well as doublets, triplets, triplets with center beats omitted, quadruplets, and quadruplets with center beats omitted. Tempo is easily adjustable in a range of 40-208 beats per minute (bpm). Sophisticated rhythms, such as triplets/quadruplets with center beats omitted, give you the flexibility to cover a wide range of styles from classical to rock and jazz. Since the volume is adjustable, the TM50 can meet the needs of any situation, from private practice in a small room to sessions in a large studio. When you adjust the tempo setting, you can choose that the tempo value will increment or decrement either in full-step mode (steps of a single unit) or pendulum-step, mode (steps of several units as on a mechanical metronome). Choose the mode that you prefer. The TM50's Tap Tempo function lets you detect and set the desired tempo simply by pressing the Metronome mode START/STOP button at the desired timing in a range of 40-208 bpm. This makes it easy when practicing to a song that you don't know the tempo of, such as a recording on CD. With the Memory Backup feature, the TM50 remembers your Tempo, Beat, Calibration, and Reference Pitch settings even when powered-off. After twenty minutes of none use, the TM50 will automatically turn off to extend battery life.